Harry White holds a Master of Forestry degree from the Yale School of Forestry and Environmental Studies with specializations in forest ecosystem science, preserved areas management, and restoration ecology. 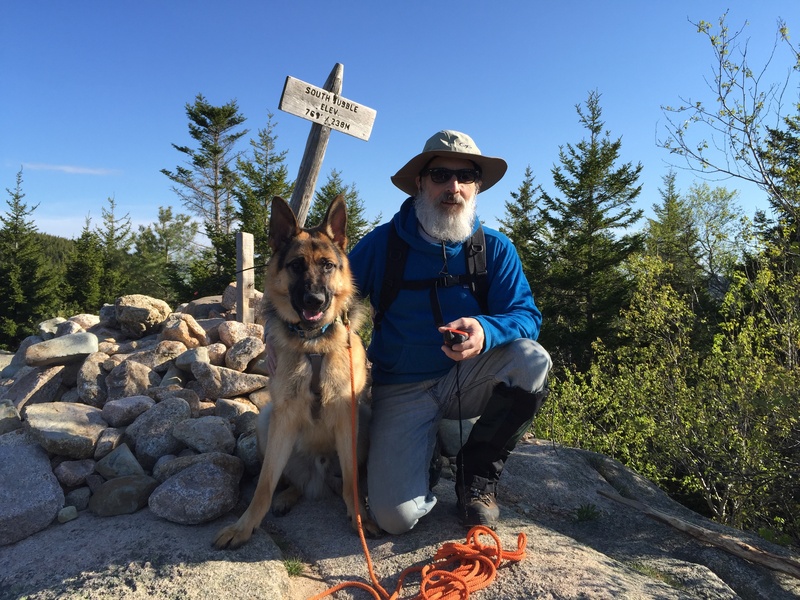 His academic resume includes research work in forest pathology at Acadia National Park with the National Science Foundation and the Department of Forest Ecosystem Science of the University of Maine at Orono and studies in disturbance ecology at Syracuse University and Yale University. His professional work encompasses ecological science, conservation stewardship, habitat restoration, land acquisitions, and GIS cartography. White works as Conservation Director for Sharon Land Trust, Cornwall Conservation Trust, and the Salisbury Association Land Trust in Northwest Connecticut and serves as the Consulting Ecologist for Northeast Wilderness Trust of Montpelier, Vermont. For fourteen years, he served as Ecologist and Director of Land Conservation at the Weantinoge Heritage Land Trust, a regional organization in Northwestern Connecticut that became the largest trust in Connecticut in terms of land area during his tenure. White was instrumental in the expansion of its preserve catalog from 2,000 acres to almost 10,000 acres, almost all accomplished without public grant assistance. White is a leader in the protection of native Forever Wild habitats and ecosystems as well as working forests and farmlands and has been personally involved in the preservation of thousands of acres in Northwestern Connecticut and in northern New England from the Adirondacks though Vermont and New Hampshire to the Great North Woods of Maine. He continues to be a force in the permanent protection of conserved forestland as forever-wild habitat, always with a deep basis in peer-reviewed ecological science. This work has led to the protection of over 2,000 acres in Connecticut as forever natively wild and White single-handedly quadrupling the quantity of such protections in the state. He has performed ecological studies and written baseline ecological reports and habitat management plans on properties of up to 7,500 acres in size for clients including numerous land trusts in New England, several municipalities, the USFS Forest Legacy Program, and many private landowners in the region. His Traprock Wilderness Recovery Strategy to protect the traprock ridge ecosystem in the Central Valley of Connecticut received the Governor’s Green Circle Award from the Connecticut Council for Environmental Quality. White wrote the 2004 Town of Colebrook Plan of Conservation and Development that received the Excellence in Conservation Award from the Northwest Conservation District. He wrote the Management Plan for the CT DEEP Sandy Brook Natural Area Preserve in Algonquin State Forest in Colebrook, Connecticut and produced the 2016 baseline ecological study of the Colby Hill Ecological Project, a 716-acre Long Term Ecological Research (LTER) site in the northern Green Mountains that is affiliated with Northeast Wilderness Trust and Middlebury College. In 2017, he authored the Ecological Study of the West Mountain Wildlife Management Area Inholdings in the Northeast Kingdom for Northeast Wilderness Trust, Sweet Water Trust, The Nature Conservancy, and the State of Vermont. In 2018, he produced the Ecological Study of Burnt Mountain, a 5400-acre forever-wild tract in the Northern Green Mountains, for Northeast Wilderness Trust and The Nature Conservancy. In 2018, his work served as the foundation of the two highest-ranking CT DEEP OSWA acquisitions in the state. White received the Connecticut Land Conservation Council’s Katchen Coley Excellence in Conservation Award in 2017 and was the first conservation professional to receive the award. He continues to work in the preservation endeavor and to date has been involved with the permanent protection of over 25,000 acres of wild and working lands. He attributes his success directly to the energies of the remarkable conservation communities of New England and especially to volunteer board members who selflessly contribute their minds and labors and income to land protection. White has been a lecturer in biology and conservation biology at Syracuse University and in environmental science at Northwestern Connecticut Community College. He has been a repeat presenter and workshop convener at events including the Connecticut Land Conservation Council Annual Conferences and the New York State Land Trust Summits. He is a member of the Society for Conservation Biology, Ecological Society of America, American Conifer Society, and the Society For Industrial Archaeology. His avocations include meteorology, aerial photography, skiing, conifer and native hardwoods culture, searching for old growth trees, beekeeping, his West German-Czech-line German shepherd dogs (Riley (Alakazam von Nadar) and Amber (Viva vom Haus Huro)), SCCA Club Racing (winning the 2011 North Atlantic Road Racing Championship (NARRC) in Formula V), vintage electronics restoration (specializing in early tube radios 1917-1925), amateur radio (including HF, VHF, AM Band DXing, and satellite communications and winning several American Radio Relay League contests in mobile microwave work), and radio-controlled model aviation with specializations in multirotors and long-distance FPV fixed-wing flight. In his younger days, his avocations included New England rock and ice climbing and general aviation. He is an active member of the National Ski Patrol and is an Alpine Ski Patroller at Jiminy Peak in the Northern Berkshires. Harry and his wife Ann Marie, the Library Director at the Oliver Wolcott Library in Litchfield, live at Wild River Farm in Colebrook, Connecticut along Sandy Brook and adjacent to Algonquin State Forest. A lifelong New England woodsman, White has been active in the scientific and stewardship aspects of natural and traditional working land preservation since 1990. Please use the Contact tab to get in touch with Harry.